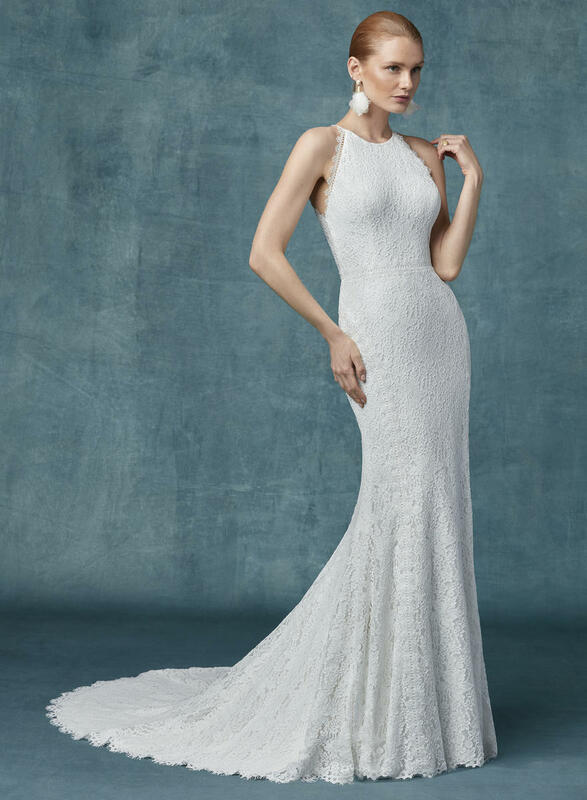 This chic boho wedding gown is comprised of allover lace in a sheath silhouette. Featuring a halter neckline trimmed in sheer lace motifs, gliding into a sheer lace halter back. Finished with covered buttons over zipper closure.